If you don’t love chicken salad, you should. But not for the reasons you think. We don’t want you to love the mayo (and the fat and calories that adds). And, we’d rather you not love your chicken salad on a big ‘ole baguette or croissant. 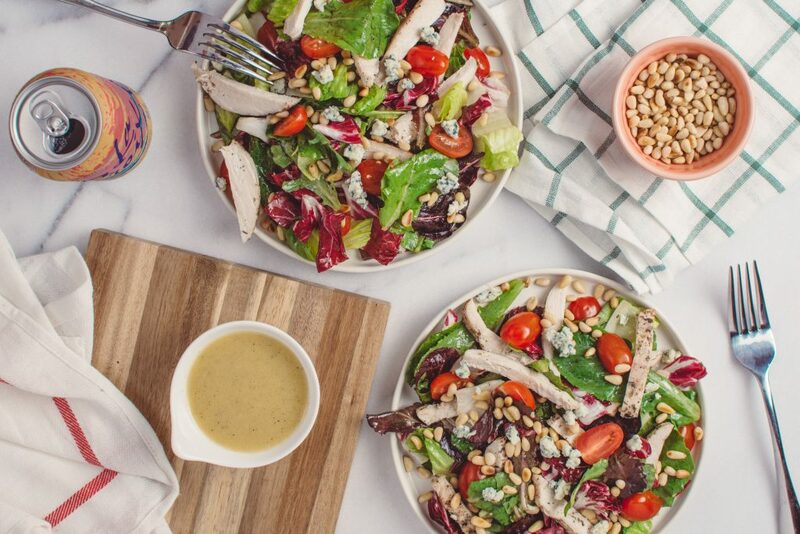 If you are managing your diabetes with a low carb and perhaps, low fat diet, then we do want you to love chicken salad our way. First, you don’t have to use mayo as the glue to make it creamy and delicious. You can use plain greek yogurt, mustard, or best even, mashed avocado! Just google “low-fat” or “healthy” chicken salad and you will have no trouble finding a great recipe. Like this one for avocado chicken salad from Simply Recipes. Second, be creative with your vehicle. If you want to cut back on carbs, chicken salad is your answer. Full of protein, its filling and delicious. Just skip the bread. Try a big scoop on top of a salad, try small scoops in bib or romaine lettuce boats (they will look like little green tacos), or even dip celery and carrots in it. Third, chicken salad is the ultimate leftover hack. Did you have a rotisserie chicken last night, or bake or grill chicken on the grill. Have leftovers? Chop or shred the chicken, toss in a few ingredients (like avocado or greek yogurt, curry powder or dill, some grapes or a few raisins, and salt and pepper) and you have a brand new meal! Chicken Salad is the BEST! Unless you prefer tuna, in which case you should substitute the chicken for tuna fish, and otherwise prepare and serve it the same. Then, tuna salad is the BEST!